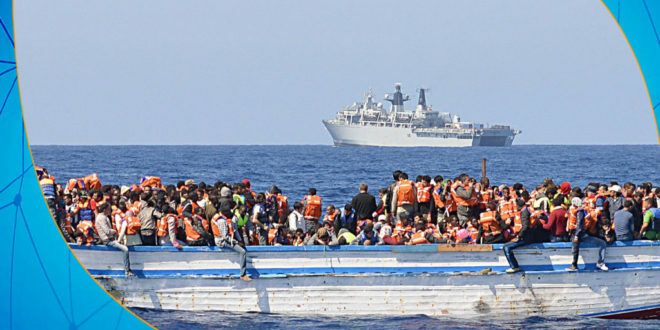 The Coast Guard, on Wednesday, rescued 315 illegal immigrants in two separate operations near the beaches of the city of Al-Zawia, west of Tripoli, and Al-Khums, east of it. 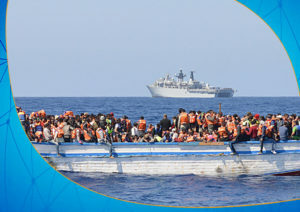 In a statement to ArraedLg, a spokesman for the Libyan Coast Guard Ayoub Qasim said that immigrants from different African and Arab nationalities, including 32 women, and 8 children, were aboard 3 rubber boats. Qasim pointed out that the migrants were handed over to the Immigration Control and Immigration Centers Al-Naser and Tajwara, after providing humanitarian and medical assistance to them. The International Organization for Migration (IOM), on Wednesday, said that 199 illegal immigrants were stranded off the coast of Libya, including a girl with first-degree burns as a result of the boat’s hot fuel. Fayez Al-Sarraj condemns the attack on Rawda mosque in Sinai.